The 25 litre Safari Tank for Husqvarna’s 630 range now allows riders to unleash the adventure potential of their bike. The tank fits the FUEL INJECTED 630 model. 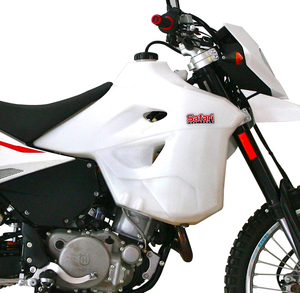 Includes: fuel cap, breather hose, 2 taps, cross over tube, Husqvarna fuel line and wiring loom.